An alien invasion? The Rapture? 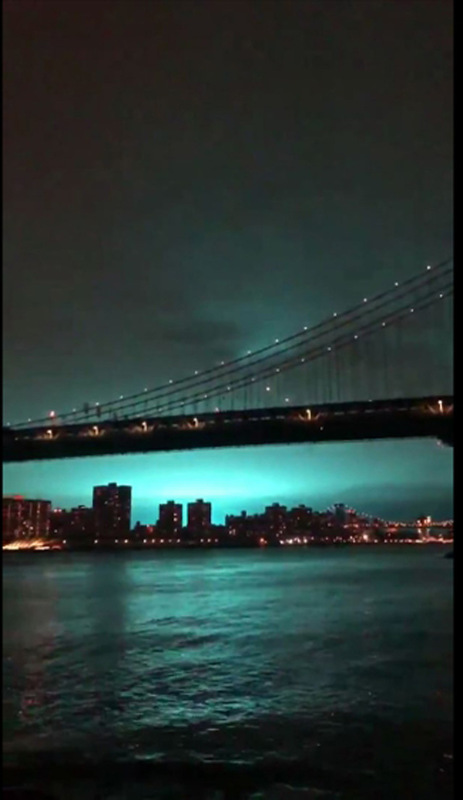 The sky flashed an eerie blue over New York City on Thursday night and social media users feared the worst. Extraterrestrial activity was a leading theory: "IM SORRY WHAT???? THE SKY JUST TURNED BLUE???? literally so confused I think aliens just tried to steal new york," one user wrote on Twitter. "Apparently aliens are landing in New York City right now bcs the sky's blue," wrote another. Another Twitter user noted that people had been warned to change their ways: "What's happening in the sky in New York? If it's the rapture, I just wanna say I told y'all to quit it." Travelers at LaGuardia airport were treated to potential delays as well as a light show. "Due to a power failure at #LGA, please allow extra time when coming to the airport," the airport wrote on its Twitter account. In the end, the explanation turned out to be somewhat more mundane: a problem at a local power plant. "The lights you have seen throughout the city appear to have been from a transformer explosion at a Con Ed facility in Queens. The fire is under control, will update as more info becomes available," the New York Police Department tweeted. 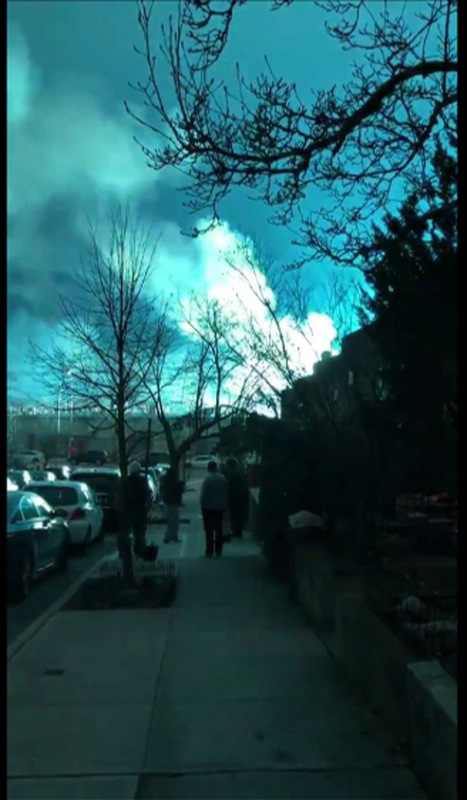 Con Edison, the power company, tweeted that it was working with the fire department "to respond (to) a substation fire in Astoria." "The incident is under control. There are no injuries reported, and no fire," the fire department said. The anticlimactic explanation was disappointing to some. 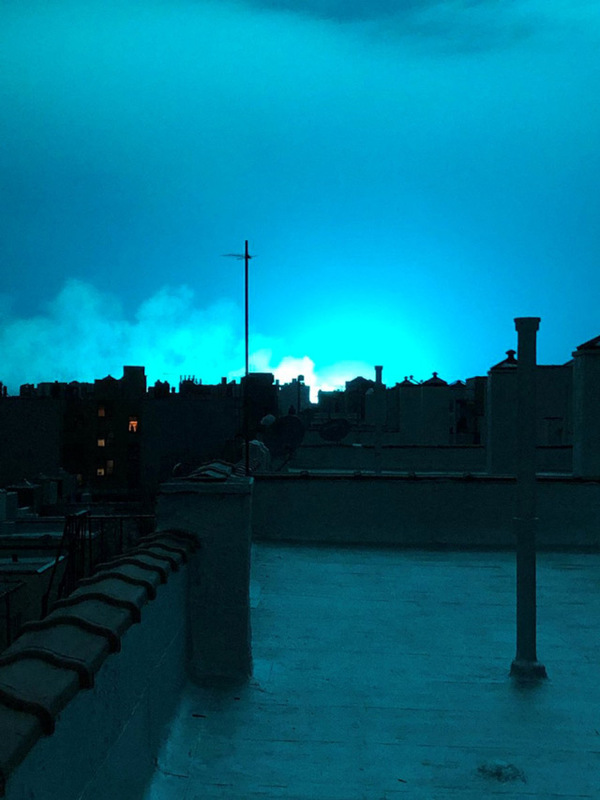 "I wish the blue sky in New York was aliens and not a power plant on fire," one Twitter user wrote.